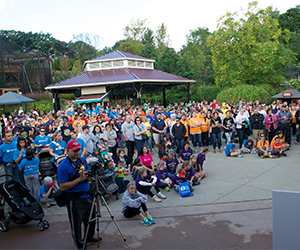 The 8th annual Walk for Babies, an event dedicated to raising funds and awareness for the Akron Children’s Hospital neonatal intensive care unit, had its most successful event yet on Sept. 21, raising more than $109,000. 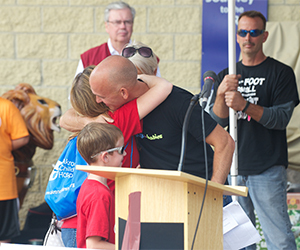 This year 1,692 people – from newborns to great grandmas – walked in the event, creating 124 teams. The largest team was Goddard School with 138 walkers. They also raised the most money, donating $12,005. The walk also included co-founders Shelby and Sam Snellenberger of Kent who spoke about their experience in Akron Children’s NICU. “We are always humble d to hear the great things that are happening in the NICU, and we are proud to help the babies, their families and the staff who so deserve and need the community’s support,” said Sam Snellenberger, who pledged to raise $1 million to show his gratitude for the 26 days of care his daughter Amelia received. Families were able to once again see the Akron Children’s doctors and nurses who helped their children grow and thrive in the NICU, including neonatologist Jennifer Grow who spoke to the group. Donations will be accepted for the event through Oct. 15, and can be made at walk4babies.com or sent to PO Box 191, Kent, Ohio 44240. Since its start in 2007, Walk for Babies has raised more than $600,000 for Akron Children’s NICU. 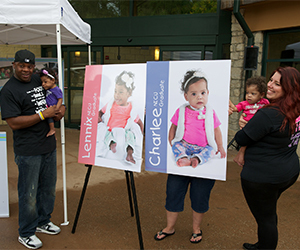 The 9th annual Walk for Babies will be Sept. 20, 2015.